From broke college students to powerful business execs, nobody wants to pay for something when you can get it for free. And these days, offering a little bit of “free stuff” can be the ticket to big sales in the long run. More and more companies in more and more industries are adopting content marketing as a strategy for increasing their chances of success. Content marketing is simply the creation and sharing of media to entice and attract customers. I’ve seen this strategy work wonders, especially within the publishing industry. And with an industry undergoing so much change, content marketing just might be the key for increasing the financial health of publishing companies. Here are five different content marketing strategies I’ve seen work in person at publishing companies. Direct mail: Yes, direct mail may be on its way out. But direct mail, when executed well, can be very successful in bookselling. I worked in the direct mail division of Rodale, and for each book, a direct mail package was sent out containing helpful information from the book designed to entice potential readers. For instance, the direct mail package for the book I edited, First for Women Smart Solutions, contained lots of free cleaning and decorating tips for readers. Email Newsletters: Every Sunday night, I receive a newsletter emailed to me from Baltimore magazine, where I intern every week. Each newsletter gets sent out to an expansive mailing list, regardless of whether you’re a subscriber to the magazine or not. 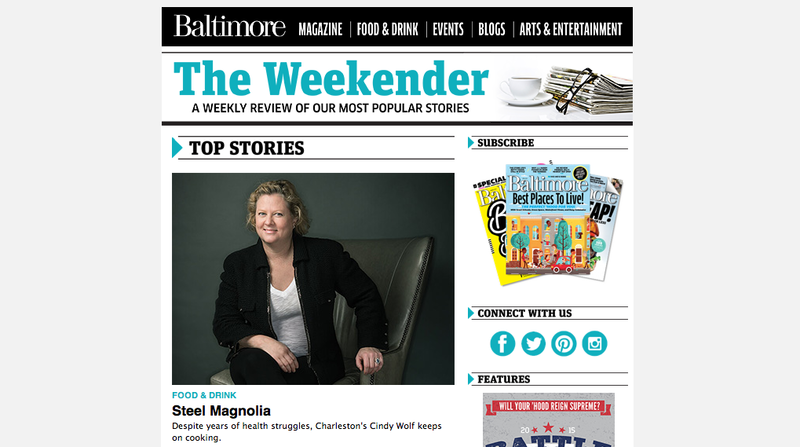 Yes, Baltimore Magazine is technically giving information away for free, but this information is designed to intrigue readers and encourage them to subscribe to the print magazine. It seems like if you give your audience just a taste of good content, they’ll come running back for more! Video: Many of the magazines at Rodale like Men’s Health, Women’s Health, Runner’s World, and others include free videos on their websites that are free for viewers. For instance, if someone is looking for a new yoga pose, they might come across a helpful video on womenshealthmag.com. Although these videos can be pricey to produce, they ultimately drive subscribers to the magazine and traffic back to the website, a win-win for both Rodale and the customer. You already know your audience likes to read- now give them what they want. In the spirit of Frances Hardinge's quote, "I don't want a happy ending; I want more story," this is a blog of musings and insights devoted to lovers of literature and language and to what makes stories great.